The $3.9 million Main North Road intersection with Dalkeith Road and Smith Road intersection upgrade project will improve safety at the intersection for all road users. 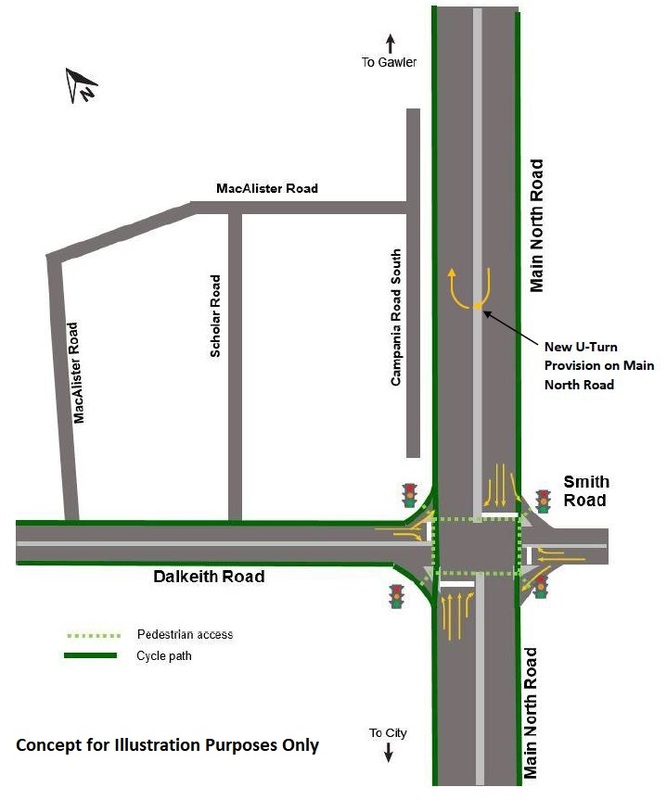 Following completion of current works, the department will install a new U-turn facility (in the south-bound lane of Main North Road) approximately 300 metres north of the Dalkeith Road and Smith Road intersection. Works to install the U-turn are expected to be completed end June 2019. Early service works commenced at the end of August 2018 and main intersection upgrade works started in October 2018. The works have been scheduled to minimise disruption to motorists, with the project currently expected to be completed in April 2019. The upgrade of this intersection will also result in Campania Road South, Kudla, converting into a cul-de-sac. An engineering assessment determined this is necessary to address the crash risk. All roads will remain open to traffic with lane and speed restrictions in place during these works. Road users are advised to follow the direction of traffic management staff and adhere to road signage.